1805 Rembrandt Peale painting of Thomas Jefferson from New York Historical Society. 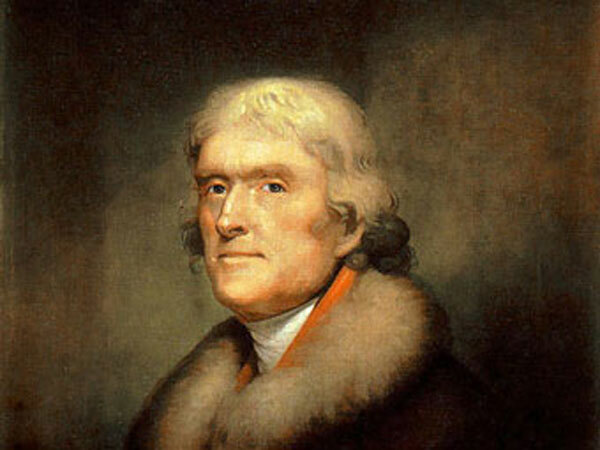 Thomas Jefferson Birthday for the year 2021 is celebrated/ observed on Tuesday, April 13th. Tuesday, April 13th is the 102 day of the 2021 calendar year with 1 year, 11 months, 24 days until Thomas Jefferson Birthday 2021. When is Thomas Jefferson Birthday 2021? When is Thomas Jefferson Birthday 2022?